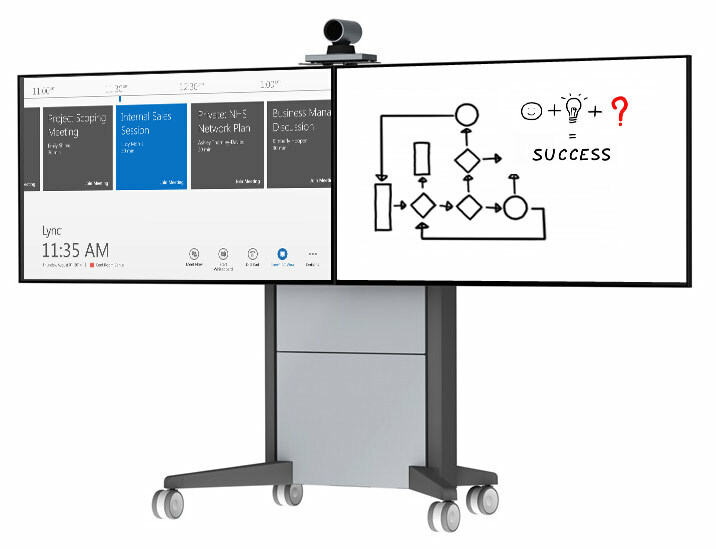 Build your own tailor made Skype for Business Room system with VideoCentric. Our “build your own” Skype for Business solution gives you HD video conferencing and rich collaboration features, presentation and content sharing and interactive white boarding in a professional, flexible and interoperable solution designed for your room size, corporate branding and budget. 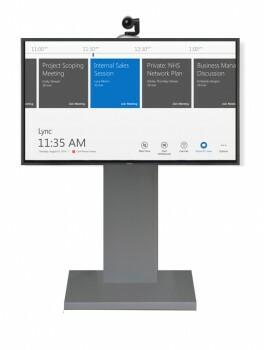 Need two displays to show faces on one, and content on another? Looking for a sleek thin-bezel design in a size that matches other screens in your office? Want your stand in your corporate colours? 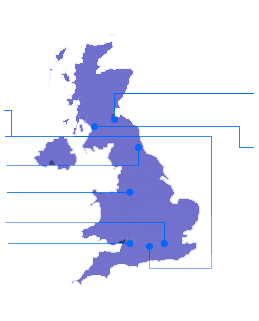 Need the ability to relocate your system on a regular basis? Or focused on getting the highest quality video and audio available? Design your own Skype for Business room system based upon your room, branding and business needs. Choose from a range of professional cameras, displays, audio systems, stands and accessories from a portfolio of tried and tested products from the world’s leading manufacturers. Your Skype for Business Room system has both the benefits of Skype for Business, combined with the benefits of professional Video Conferencing solutions. HD Video Conferencing and full 2-way presentation sharing between any device – From standards based room systems from Cisco, Polycom and Lifesize to WebRTC clients, Skype users and mobile callers, everyone can connect and collaborate through your tailor made Skype for Business Room System with a free 1 year subscription to the VideoCloud 365 interoperability service. Many Skype for Business solutions have failed to address the audio issue caused when using software designed for a PC desktop in the meeting room. Choose to include echo-cancelling microphones, speakers, sound bars and other professional audio devices for the highest quality audio conferencing and to ensure the far end can hear everything you have to say, clearly and coherently. Whatever your room size and whatever your collaboration needs, build your own Skype for Business Room System with professional displays that fit with your meeting space. Choose single or dual screens and standard TV’s or interactive displays in sizes ranging from 50″ – 90″. Or need a different size? Not a problem. Just let us know your requirements and we’ll build a room system for you. Data sharing is simple from Skype-for-Business to Skype-for-Business client. Use your room system just as you would at the desktop. Want to share presentations with those outside of your Skype for Business world? The integrated VideoCloud 365 service enables full two way content sharing between your system and any standards-based device. Or, we can improve on PC data sharing to include wireless data sharing from any laptop or tablet. Choose to include the wireless data sharing feature when discussing your needs with us and we can simply integrate this into your solution too. No need to invest further in Microsoft licences – use your existing PC and Skype for Business client licences and simply assign one to your meeting room. Or, your individual employees can sign into their own account and call directly from there. Access your corporate directory and calendar entries directly.